The slain Maoists include six women. A police Constable also lost life while three personnel of the elite anti-Maoist force Greyhounds were injured. In a major setback to the banned Communist Party of India- Maoist, 10 guerrillas were killed in a gunfight with police in Telangana's Jayashankar Bhupalapally district early Friday. The police initially put the number at 12. Some top leaders of the CPI-Maoist, including the banned outfit's Telangana Secretary Haribhushan alias Jagan and another key leader Chukka Rao, were suspected to be among the slain Maoists. Haribhushan's wife Samakka was also killed. It was the first major incident since the formation of Telangana state in 2014. The exchange of fire between the Maoists and a joint police team of the two states ensued in the forest near Venkatapuram village in Tadapalagutta-Pujarikanker area on the Telangana-Chhattisgarh border as security forces launched combing operations after a tip-off. As per a statement from the Telangana Director General of Police office, the Maoists opened fire, to which police retaliated in self-defence. One AK-47 rifle, five Insas rifles, one self-loading rifle, two single-bore rifles, one .303 rifle, one pistol, one Sony radio, Rs 41,000, three claymore mines, six rocket bombs, two solar plates, besides empty cartridges, and live ammunition of different calibre were seized from the scene. The killed police official was identified as Greyhounds Constable Sushil Kumar. Three injured police personnel were airlifted to Bhadrachalam town. The bodies of the Maoists were also shifted to the town for autopsy. 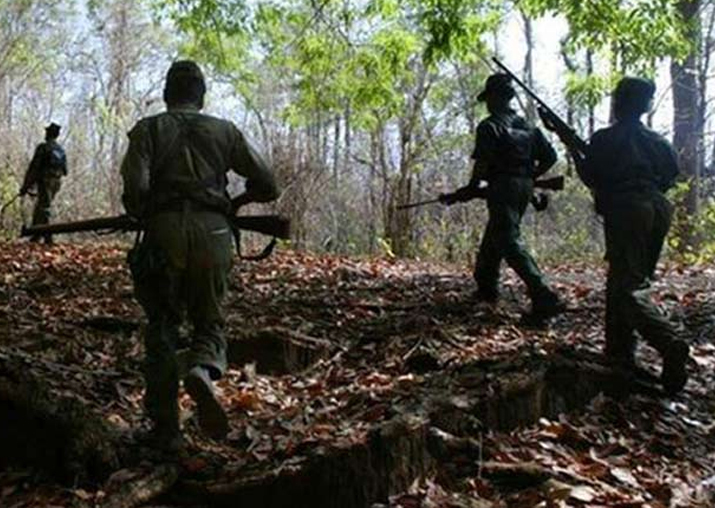 Additional forces were rushed to the area to launch combing operations as some Maoists escaped into forest. Senior police officers, including Jayashankar Bhupalapally District Superintendent of Police R. Bhaskaran, also rushed there. The CPI-Maoist was trying to revive its activities in its former stronghold of north Telangana. During the last few weeks, there were reports about the presence of Maoists in the old Warangal and Khammam districts. Police said many had crossed over from neighbouring Chhattisgarh and were indulging in extortion and other illegal activities. In December last, eight Maoists of Chandrapulla Reddy Poru Bata, a splinter group of People's War, were gunned down by police in Bhadradri Kothagudem district. The Maoist movement had considerably weakened in the undivided Andhra Pradesh since 2005 when the police launched massive operations and eliminated several top leaders following the collapse of the ceasefire and first-ever talks between then state government and the Maoists.